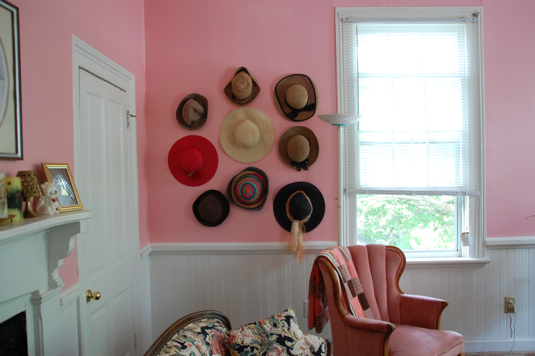 I’ve never created a hat wall myself simply because I’m not a ‘hat person’. However, I’ve seen others do it to great effect and what could be easier or cheaper? 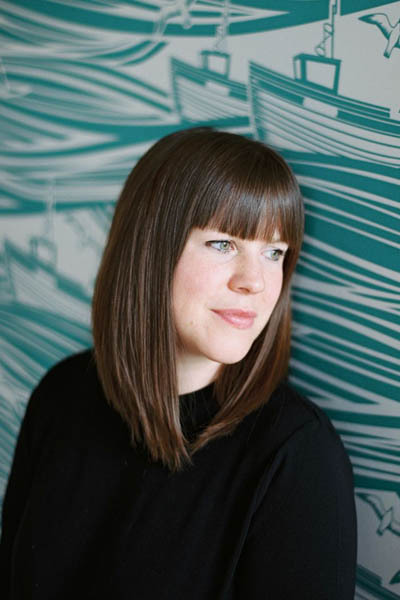 Hats have an instant impact and you can bargain that by the end of a party or dinner at your house everyone will have helped themselves and have turned it into a hat party. 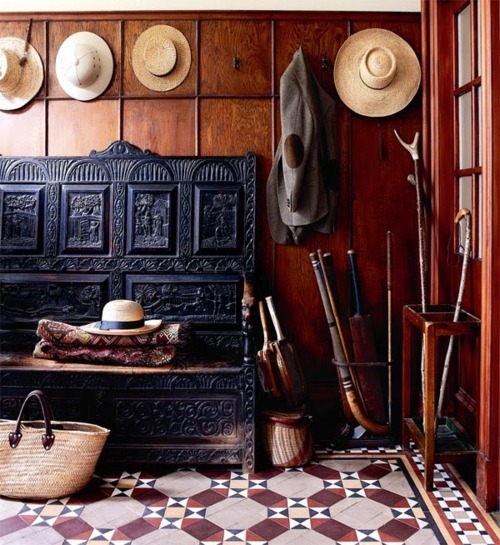 Before hanging hats you just need to consider what type of hats you intend to hang and in what formation. 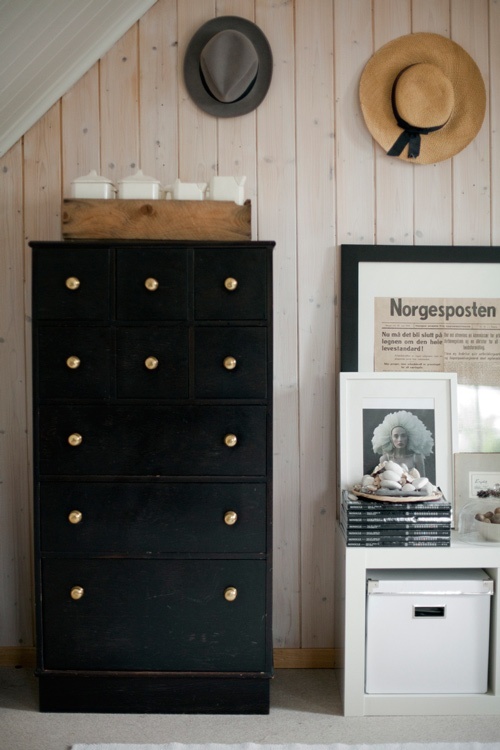 Have a look at the following examples for inspiration. 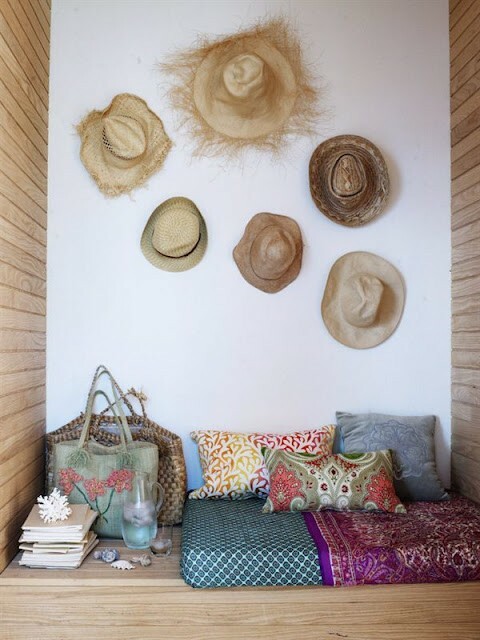 Hats, rather than art, add to the relaxed vibe of this readng nook. 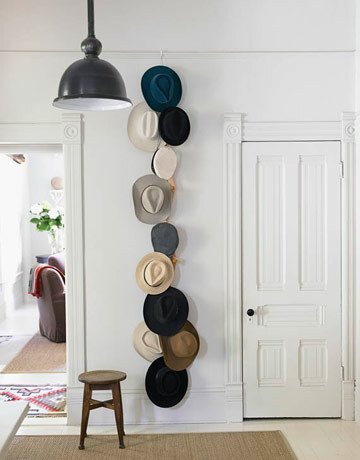 Vertical line of overlapping hats hung on a gap between two doors in a hallway. A single hat can make an impact. These hats become ornaments in this hallway. 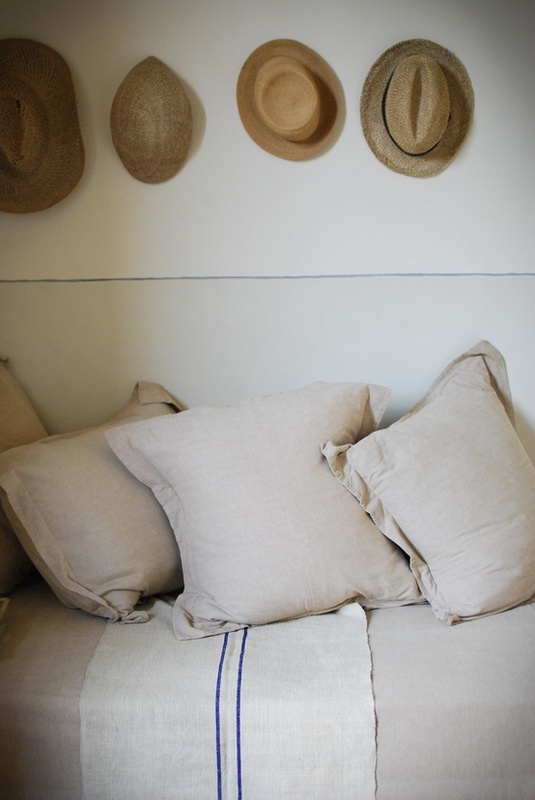 I love this simple, horizontal line of straw hats. 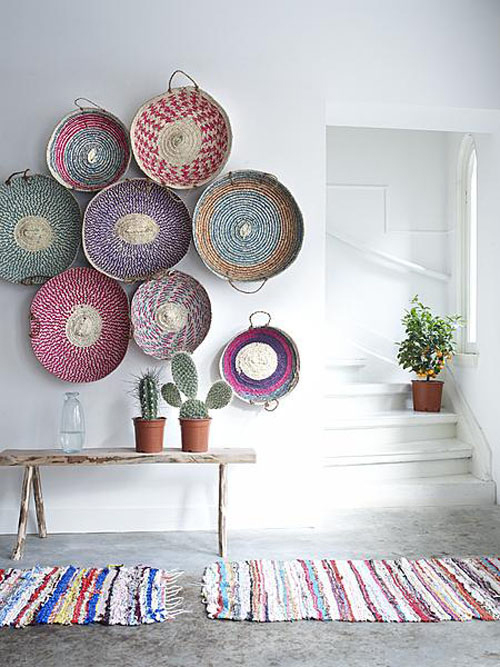 An eclectic mix hung in a planned formation adds interest to a blank wall. 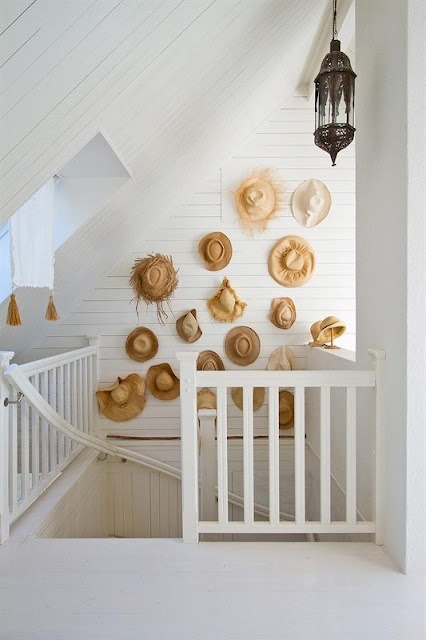 Use hats to decorate a blank stairwell, hanging them in a random formation. 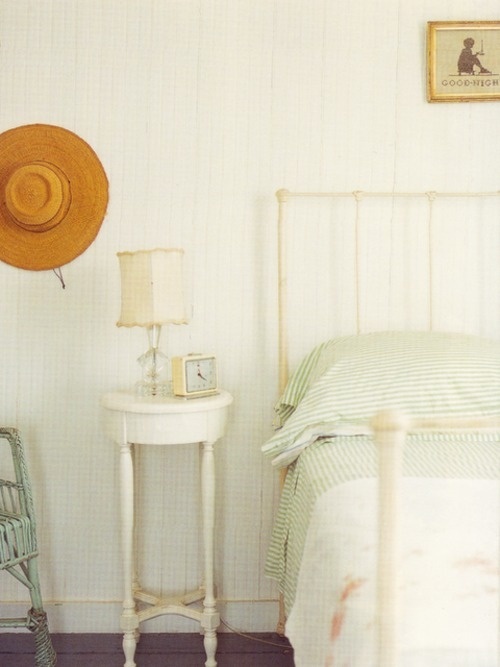 Hats can soften hard lines or dark furniture. 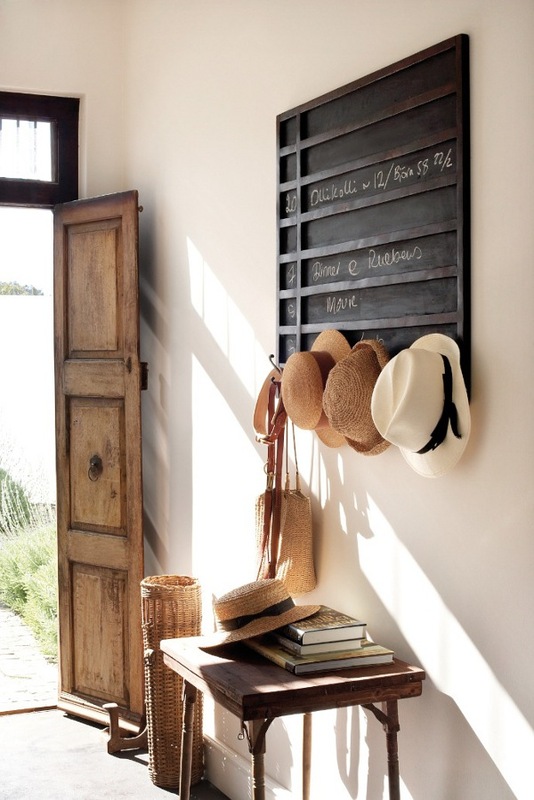 You can hang a row of hats on hooks. Not quite hats but these baskets have the same effect. I might need to buy myself some hats. I am doing this. Flat cap, trilby, NY Yankees cap, old fashioned cricket cap. I think I have a sombrero somewhere too but it may look out of place. Stunning! Off to find some hats now.